A commentary on the findings of an enquiry by the Royal College of Anaesthetists into how well prepared hospitals are to deal with perioperative anaphylaxis shock. Every few years the Royal College of Anaesthetists (RCoA) conducts a nation-wide review of its members’ experience of dealing with a specific condition, with a view to improving practice and enhancing patient safety. 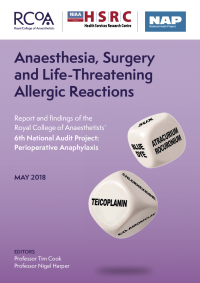 The sixth of these audits (‘NAP6’)Anaesthesia, Surgery and Life-Threatening Allergic Reactions: Report and findings of the Royal College of Anaesthetists’ Sixth National Audit Project: Perioperative Anaphylaxis. https://www.niaa.org.uk/NAP6Report reported in May this year. It focussed on perioperative anaphylactic shock‘Perioperative’ means ‘the time period of a patient’s surgical procedure. It commonly includes ward admission, anaesthesia, surgery, and recovery’ – Wikipedia. ‘Anaphylactic shock’ is ‘a severe life-threatening generalised or systemic hypersensitivity reaction’ , usually allergic – Report, page 9. – an unpredictable, sudden and life-threatening reaction, mainly to one or more of the drugs used by anaesthetists during operations. For the first time it was decided to include private hospitals in the audit. But the great majority of them (87%) declined to take part. In contrast to NHS hospitals, where an anaesthetist in training may join a consultant and where many theatres are generally active simultaneously, this is less likely to be the case in independent sector hospitals, particularly in small units. In most cases anaesthetists will work individually and there may or may not be other anaesthetists present. If they are present, they may or may not be known to each other. When life-threatening anaphylaxis occurs, resuscitation may require more than one person, and sometimes more than one anaesthetist may be necessary. This is particularly so if there are airway complications or cardiac arrest during perioperative anaphylaxis. In addition, most private hospitals have no critical care facilities, so that ‘prompt involvement of a specialist intensivist or anaesthetist with the requisite skills may not be easy in an independent sector setting’. And transferring a patient who has become critically ill to a hospital which does provide intensive care is also risky, since ‘not all anaesthetists are skilled in managing transport of critically ill patients’. Several independent sector respondents noted that they had concerns about reporting data that might be considered ‘competitive’. It is difficult to understand why the sharing of information about adverse incidents in a national audit such as NAP6 can be deemed to be commercially or competitively sensitive. 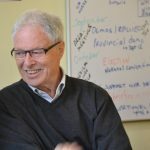 They may also have found it difficult to believe that any hospital would weigh potential commercial advantage against the chance of reducing risks to patients. The large number of anaesthetists with practising privileges to the hospital (in one case more than 200) and the variability of their presence at the hospital, meaning that dissemination of relevant information and tracing responses was impractical. The largest hospital (in terms of consultants with practising privileges) provided a full range of anaesthetic services. It had no anaphylaxis lead, no access to guidelines in theatres, no anaphylaxis pack, and no guidelines or pathways for investigation or referral of cases of perioperative anaphylaxis. In other words being a patient in such a large private hospital does not mean being as safe as you could be, if you are unlucky enough to suffer perioperative anaphylactic shock. Because the number of private hospitals that did participate in the audit was so small, no quantitative conclusions could be drawn from their data. All that could be said was that a total of seven cases of perioperative anaphylactic shock did occur in these hospitals during the audit period, mostly with older patients undergoing orthopaedic surgery. NHS-funded patients receiving care in independent sector hospitals should receive the same quality of routine and emergency care as NHS patients in NHS hospitals and, of course, these standards should also apply to privately-funded patients. It is also logical that the care provided in independent sector hospitals, particularly when NHS-funded, should be subject to the same degree of audit and quality assurance as NHS hospital care. In short, the failure of private hospitals to participate threatens the safety of more than half a million NHS patients every year, as well as private patients. Participation in all national audits needs to be a condition of registration with the CQC for private hospitals, and a condition of membership of the RCoA for anaesthetists who practice at them. But the reality is that the safety risks will only truly disappear when the archaic practice of operating ‘solo’, on which the UK private sector’s business model depends, is finally recognised to be indefensible. 2. ↑ ‘Perioperative’ means ‘the time period of a patient’s surgical procedure. It commonly includes ward admission, anaesthesia, surgery, and recovery’ – Wikipedia. ‘Anaphylactic shock’ is ‘a severe life-threatening generalised or systemic hypersensitivity reaction’ , usually allergic – Report, page 9. 3. ↑ Report, page 11. This expectation is based on the estimated private hospital share of all surgical procedures which involve anaesthetists.